Cyrcle is an intelligent decorative object, different from any other object you may have in your home because it's alive, sensing the things that you like: your friends, your hobbies, your favorite places, your passions, …your all life. Cyrcle analyzes the information coming from the user's social networks and other Internet sources, and translates the meaningful activity into gentle sounds, colorful halos of light and little movements to evoke feelings and memories. It transforms the users' environment into a social and emotional experience. 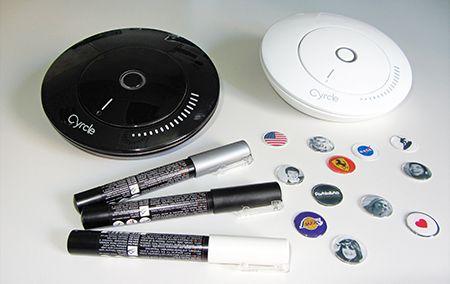 In just five easy steps, you’ll have your Cyrcle working and connected to your digital life. Switch-on your Cyrcle and configure the Wi-Fi network. Customize the applications with your favorite topics, people, places… just by clicking and dragging. by mapping these topics over the surface using markers, stickers… or order your pre-printed personal design. Enjoy how it comes alive connected to your digital life. Use your Android phone, tablet, iPhone, iPad to explore your personal Cyrcle with AR. Create your own individualized Cyrcle with a more professional high quality design that we’ll print directly on the surface, making for a more elegant finish. We will send you a Photoshop template of the surface to facilitate the process. Send your creation back to us and we will print it on the surface. We'd love to have a gallery with your designs! But that’s not all: Through our Open Cyrcle API (available soon), developers can create and publish their own Cyrcle applications and you can enjoy them for free :-). Your Cyrcle can be connected to virtually any information on the Internet. Browse available applications and drag your selection onto the preferred Cyrcle area, even onto the scale. Choose the topic (twitter hashtag, facebook user…) and customize the reaction with different colored lights and sounds. The scale is a special area in the lower right with progress marks to map data such as visits to your website, the popularity of your favorite team in social networks, or your own popularity today, and so on. Cyrcle will always rest in the scale, until an event or update happens, triggering a movement to the appropriate area. How can I connect the Cyrcle to the Internet? 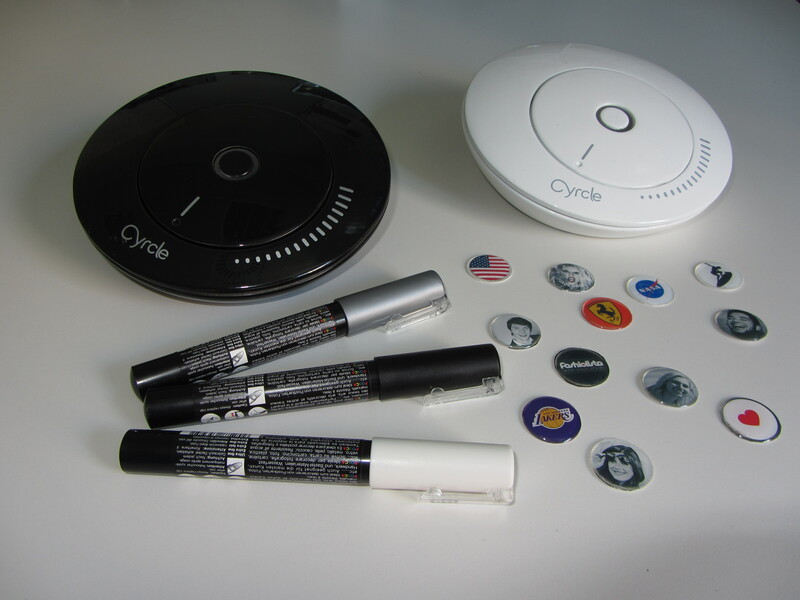 It is very easy: just configure the parameters of your Wi-Fi network on the Cyrcle. You can do it connecting in Wi-Fi Ad-Hoc mode to the Cyrcle internal web server during the set-up process. 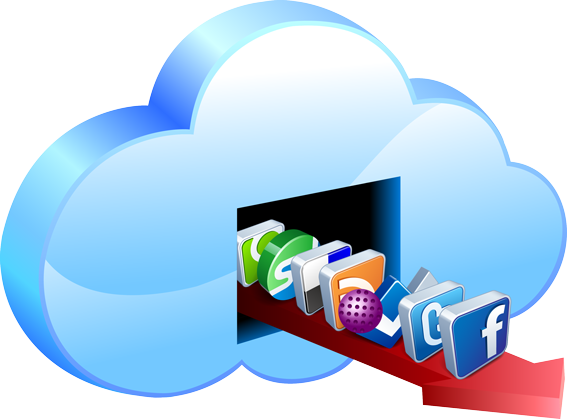 How can I access the web platform? You can use the serial number of your Cyrcle for registering and gaining access to the web platform. How can I configure my Cyrcle? On the web platform, just drag and drop the selected application on the Cyrcle area you want to configure, and a pop-up will appear to customize the behavior (Twitter hashtag, Facebook user, …). Which mobile devices support the Augmented Reality app? Any Android or iOS (iPhone, iPad) device with a built-in camera should work. I am a developer. Can I create additional applications for Cyrcle? Yes! We have designed the Cyrcle Web Platform to be open. You can create additional applications using our Cyrcle Open API (based on HTTP REST+JSON, available soon) to connect to any information or services on the Internet. We will check the application for proper functionality before publication. We do not provide hosting services, we will simply allow Cyrcle to connect to your application endpoint through our platform. More on this soon. How many times can I draw on the Cyrcle? As many times as you want, provided that you use non-permanent markers. To remove the previous drawing, you can use water or a bit of alcohol to dissolve the ink, depending on the type or marker used. How can I use the stickers? Just print your favorite icon or picture in a piece of paper (glossy photo paper for better results). Apply the sticker on the picture and use a pair of scissors for cutting the borders. 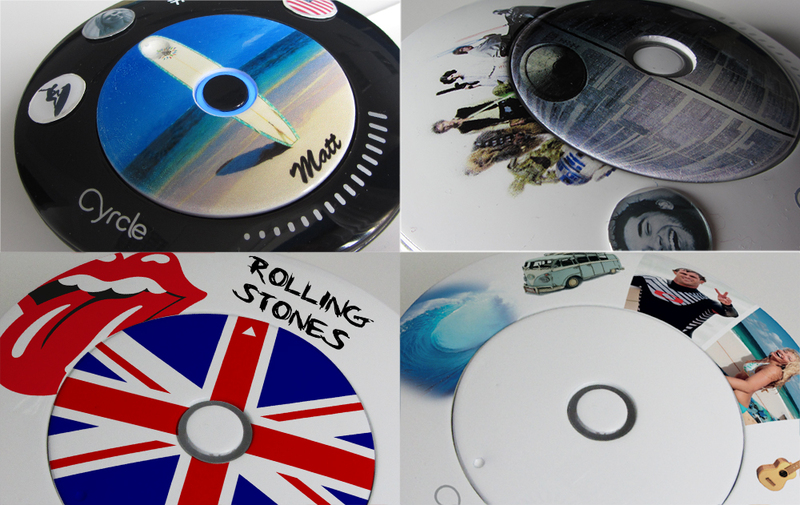 The round stickers we provide have a diameter of 0.78 in. (20mm), so just be sure the picture fits there. Why doesn’t Cyrcle have a screen? Because you already have lots of screens. We cannot build a screen better and cheaper than the one you have on your mobile phone or tablet. That’s why we decided to create the Augmented Reality app, and “be friends” with your mobile device, so you can explore your Cyrcle with it. Is Cyrcle compatible with my Wi-Fi accesss point/router? Which Wi-Fi security mechanisms does it support? The most common Wi-Fi security mechanisms are supported: Open, WEP and WPA/ WPA2. We are confident your access point supports any of these. We have even used Cyrcle connected through our mobile phones using tethering.